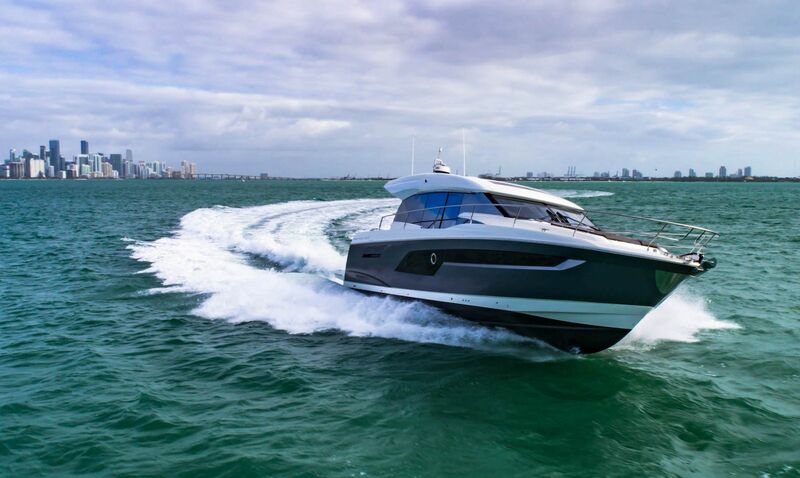 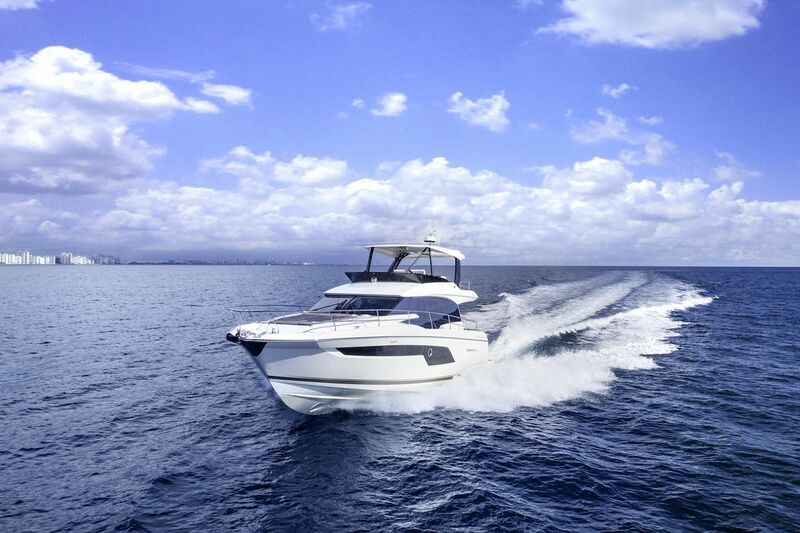 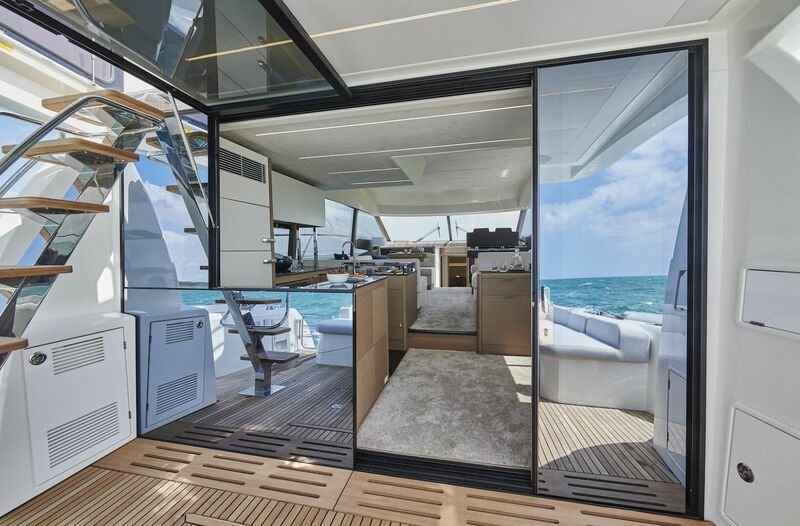 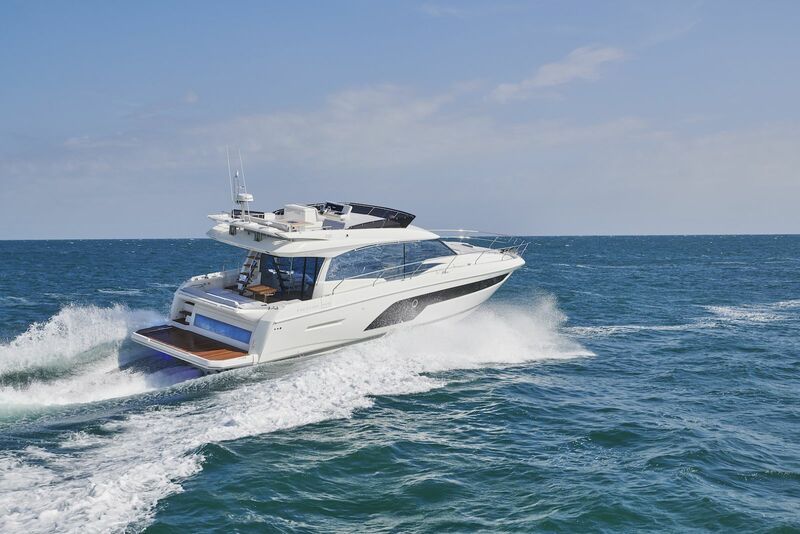 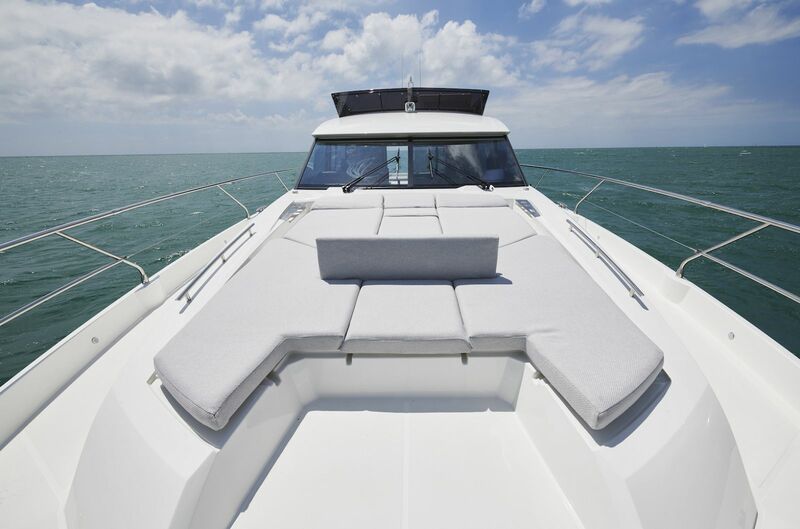 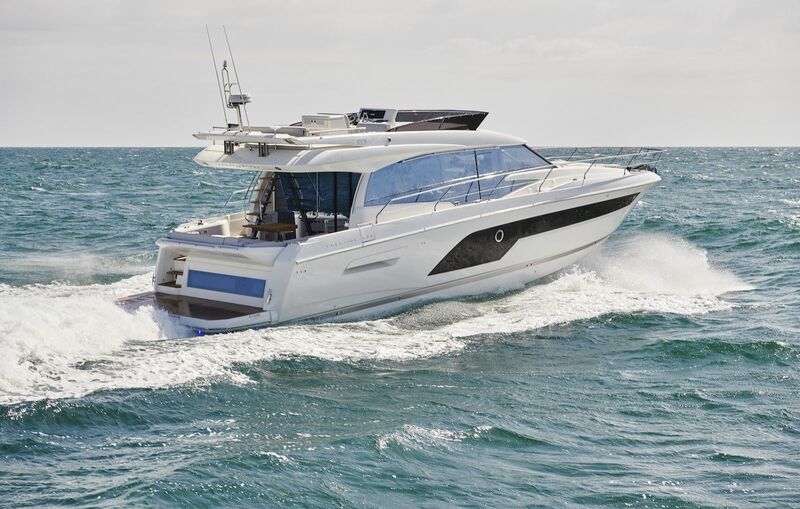 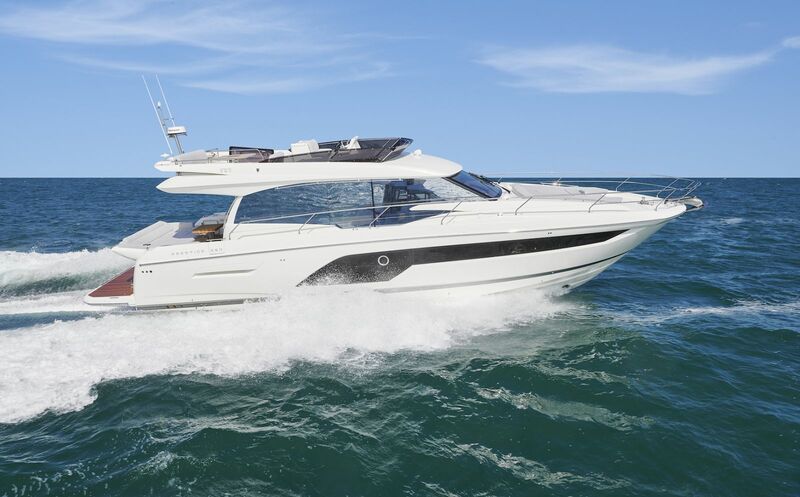 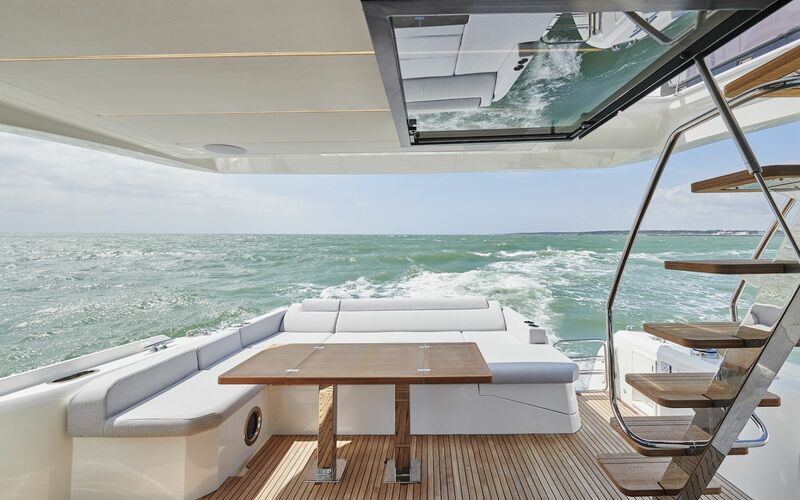 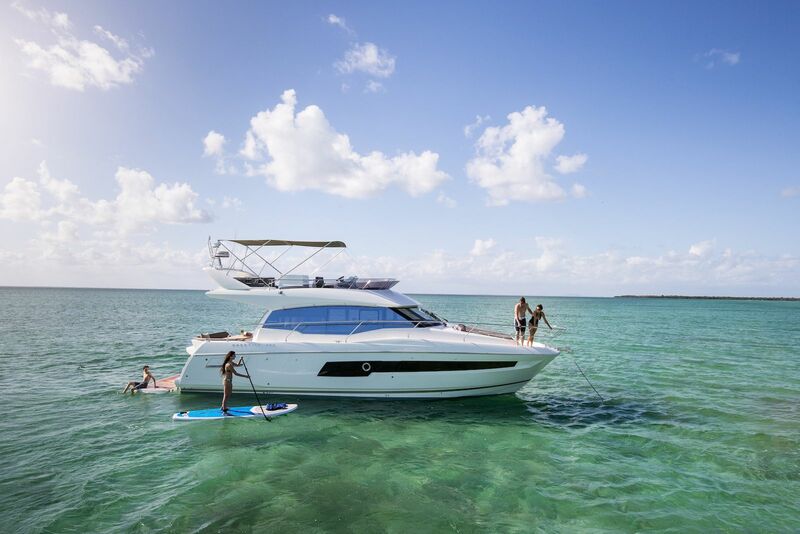 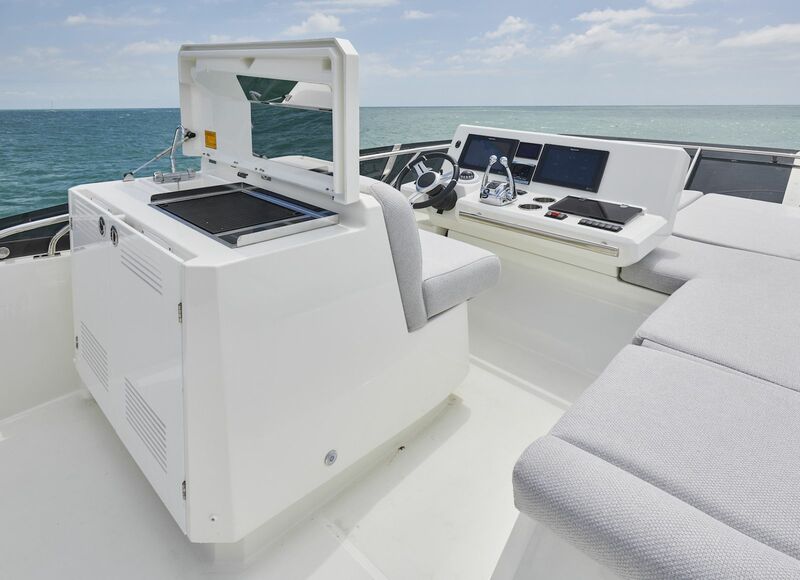 The Prestige 590 Flybridge recently made her debut at the Fort Lauderdale Boat Show and was met with overwhelming praise from customers and press alike. 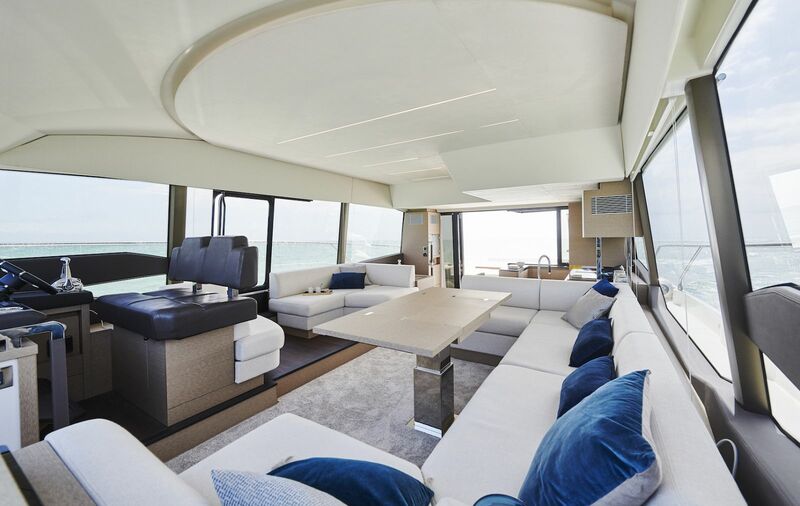 The overall length is more than 60 feet but inside, as always with Prestige, feels much larger. 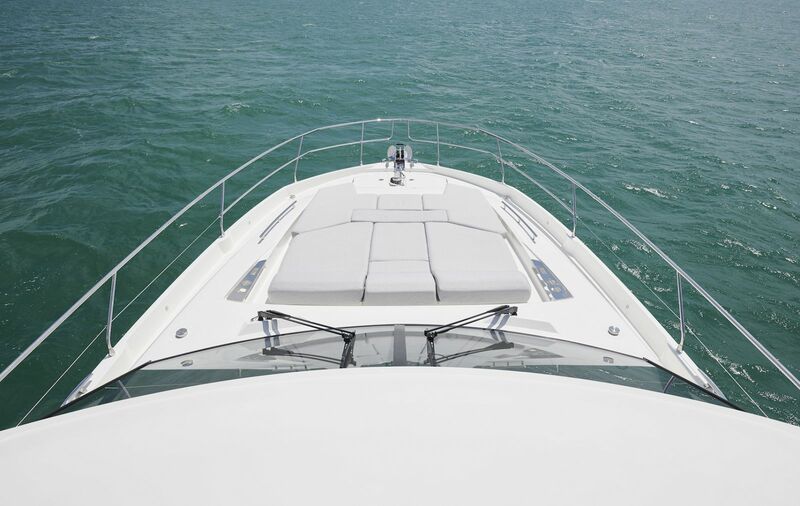 Fluid lines and excellent ergonomics are the hallmarks of the Prestige 590. 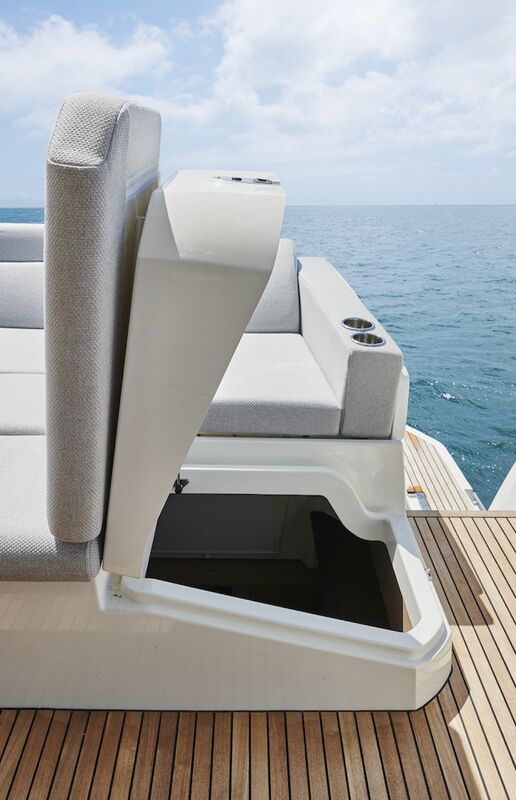 Each space and every curve has been designed with form, function and comfort in mind. 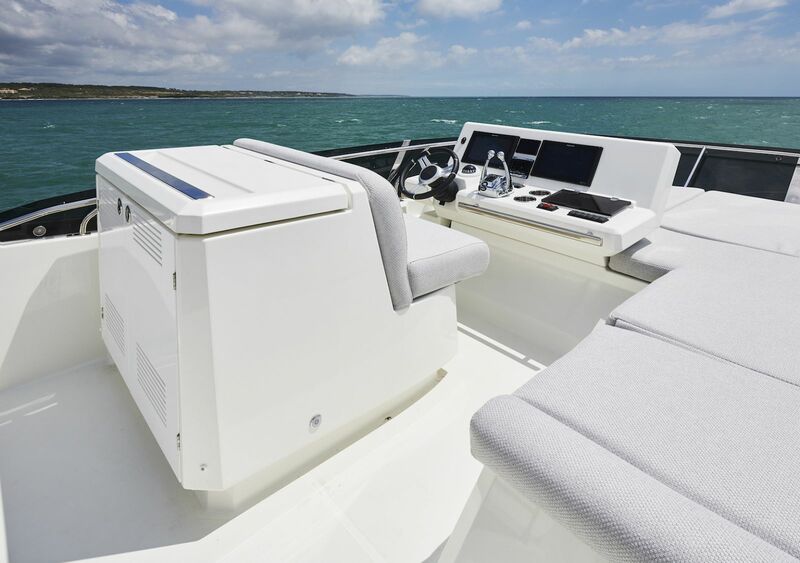 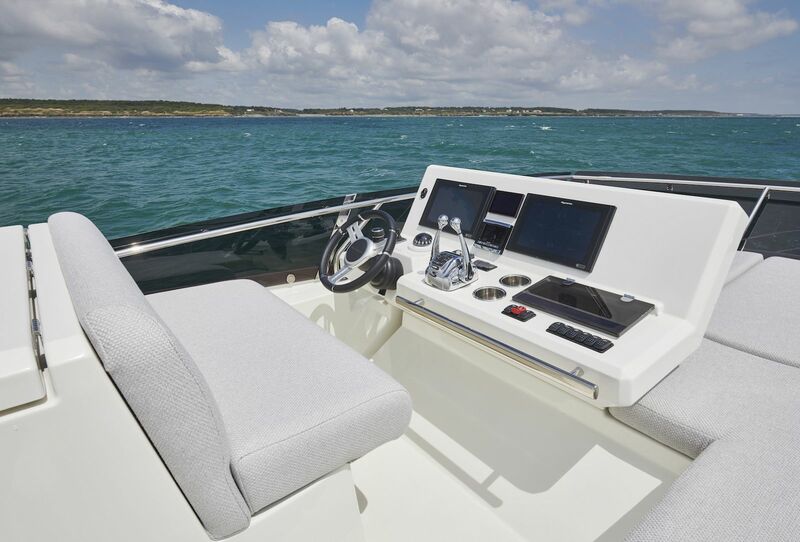 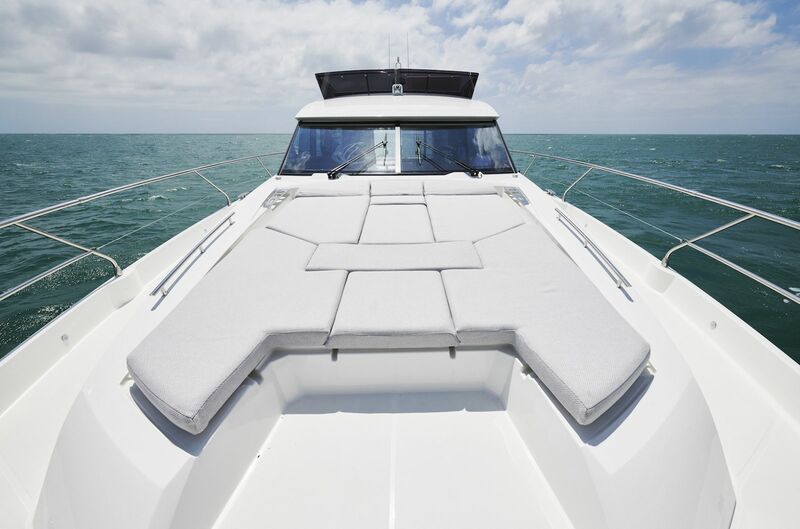 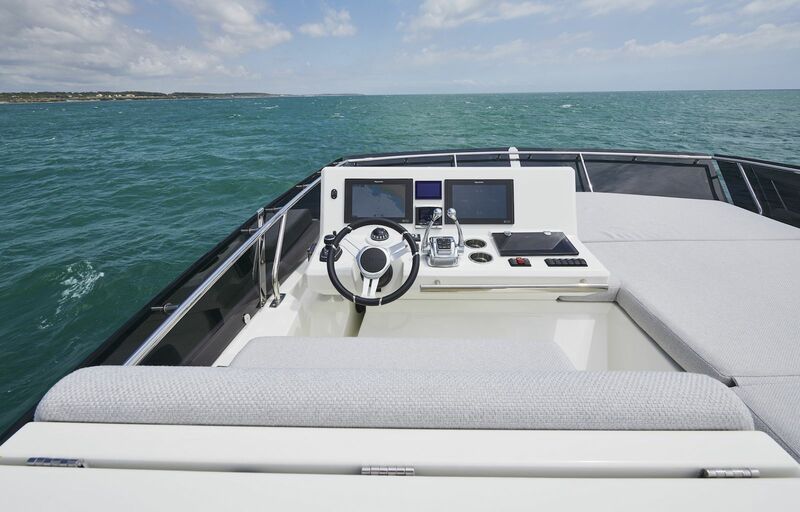 A generous flybridge and sleek radar arch enhance the onboard comfort and the powerful look. 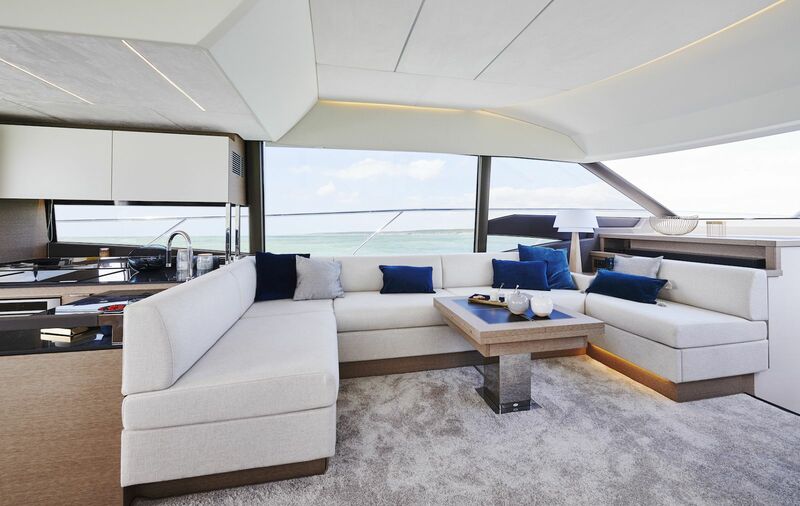 The ability to choose between an independent crew cabin and a large tender garage is unique in her category. 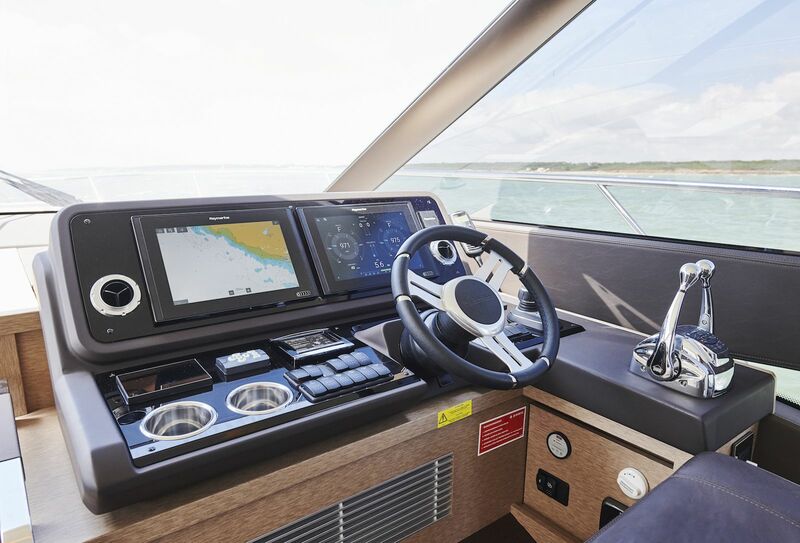 All these design features come together in a yacht that provides remarkable comfort and dynamic design. 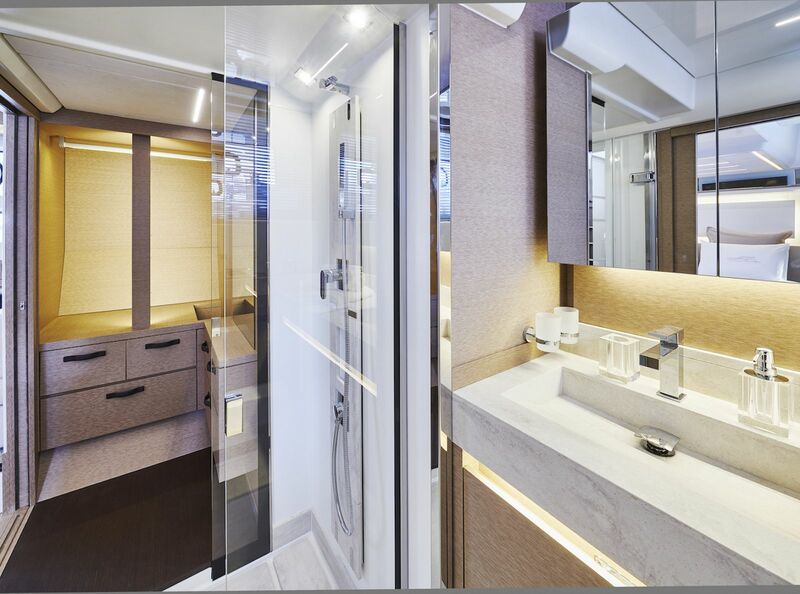 The attention to detail sets the Prestige 590 apart. 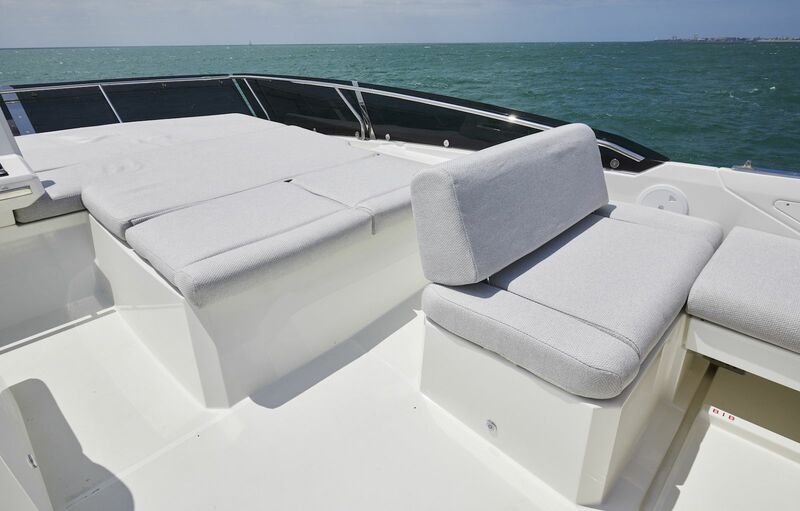 Rounded furniture edges blend into comfortable seating areas that are both cozy and inviting. 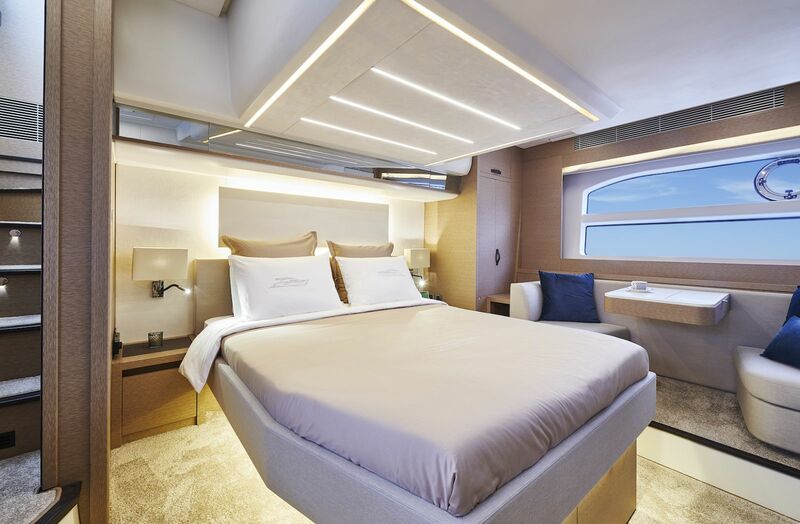 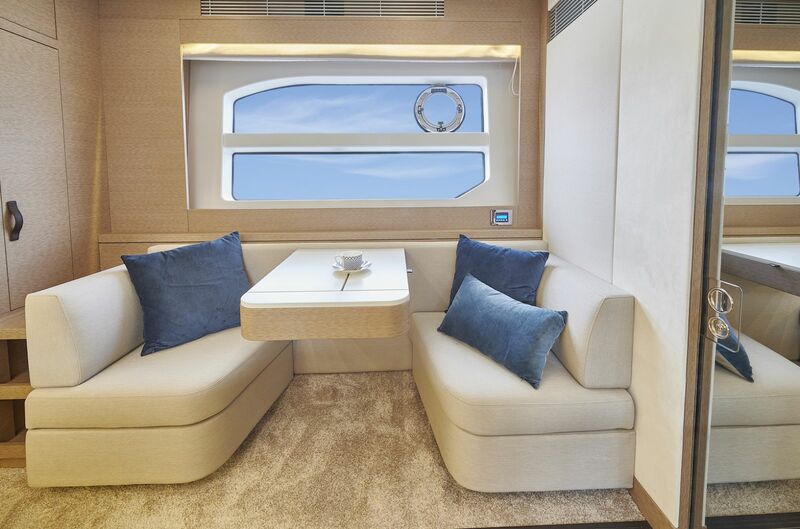 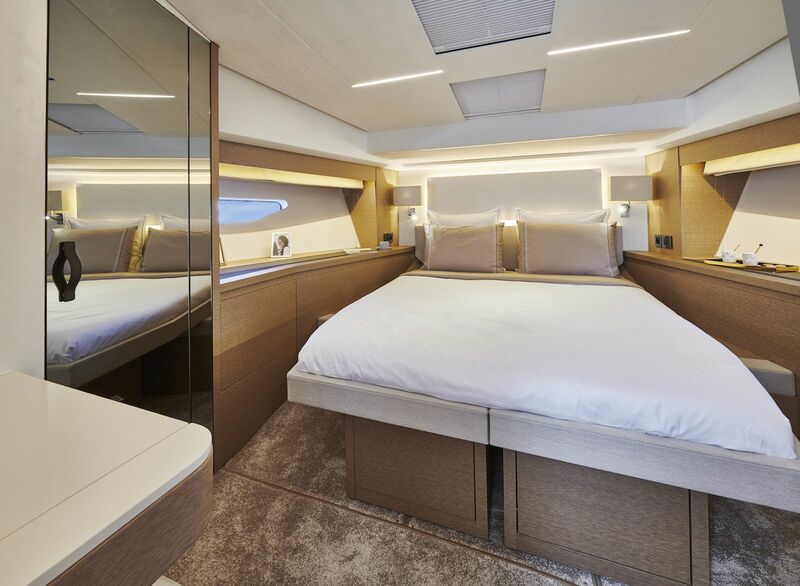 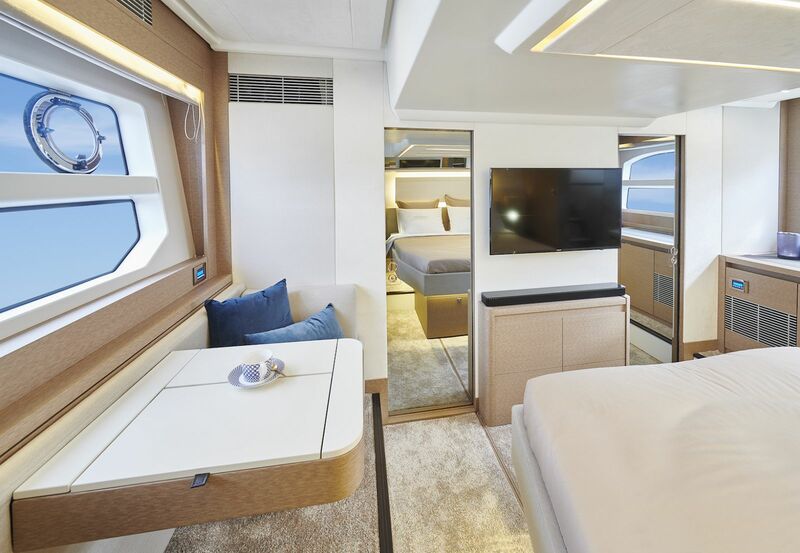 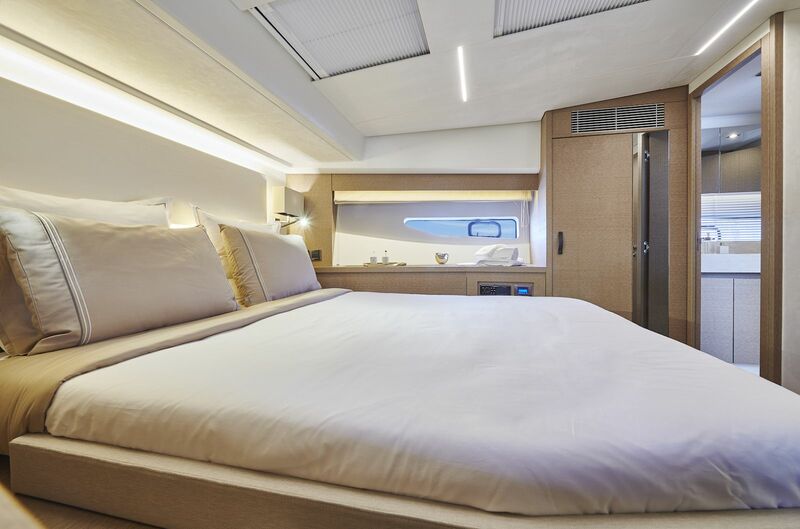 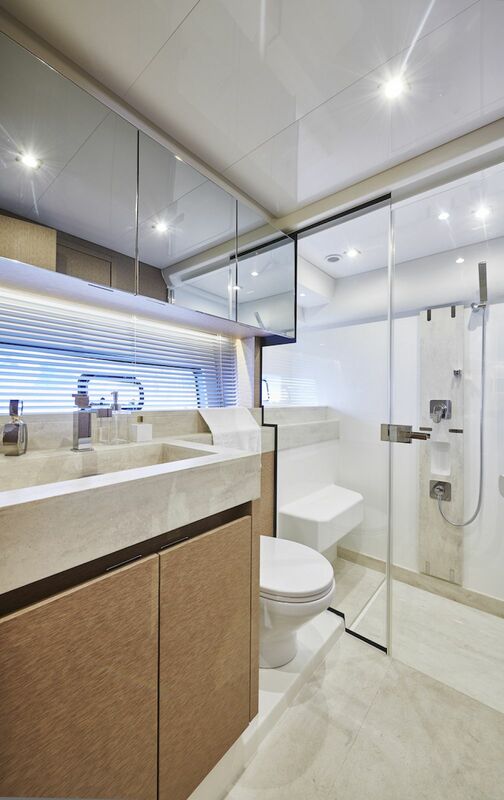 The materials, layout and sightlines all contribute to a sense of well-being onboard and an understated, refined elegance. 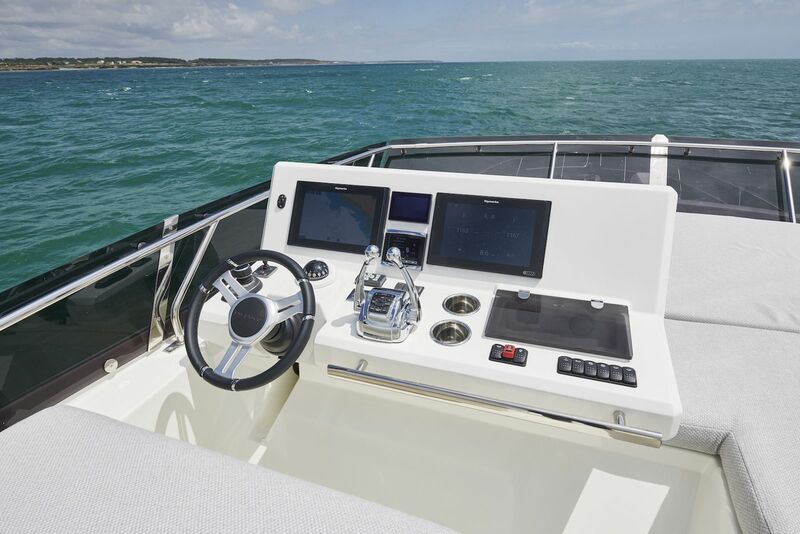 On board command and control provided by Ship Control puts all functions and system monitoring at your fingertips. 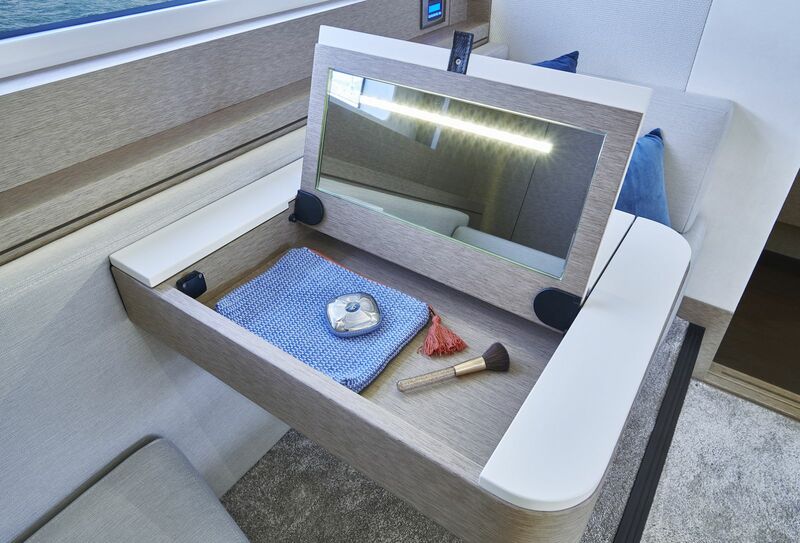 Technology and innovation developed for ease of use, but also peace of mind. 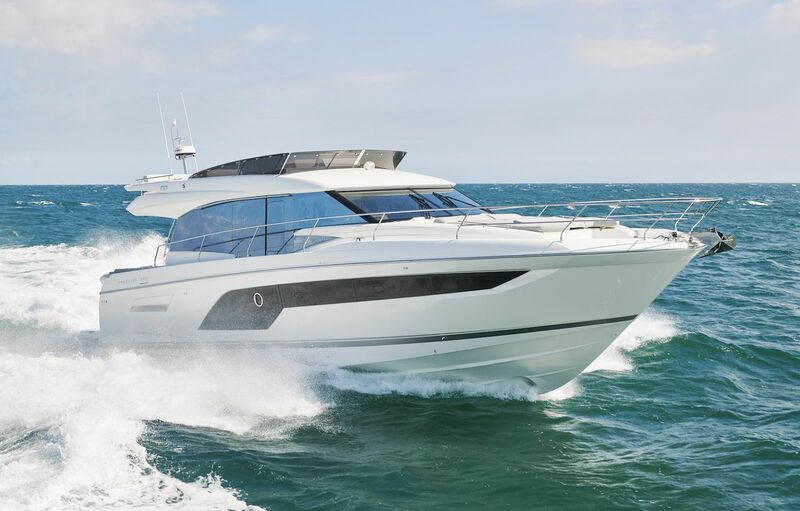 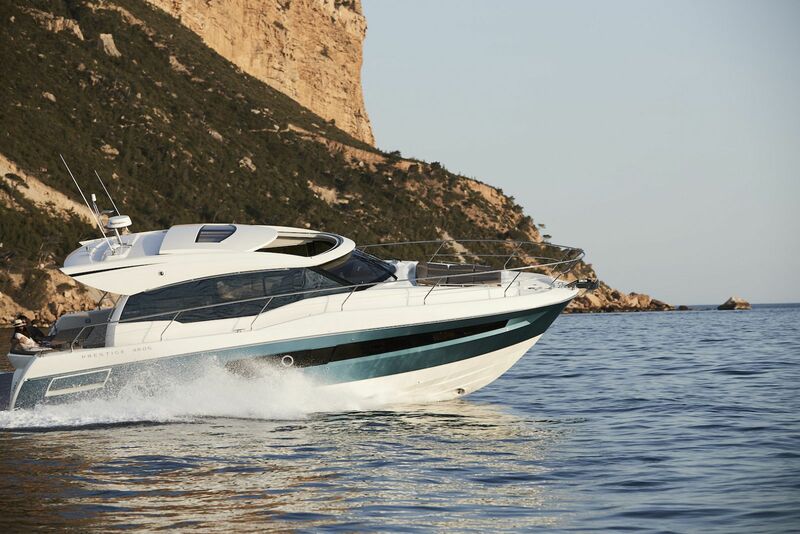 For more information on the new Prestige 590 Flybridge, please contact one of our SI Yachts Sales Professionals today. 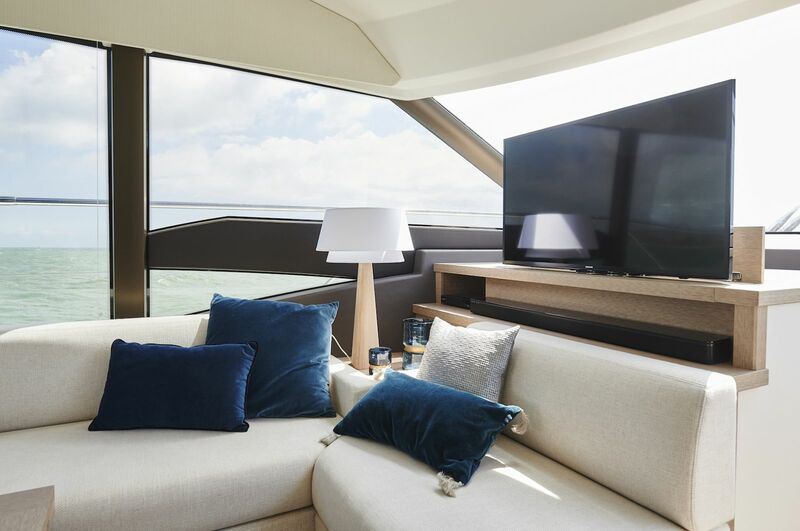 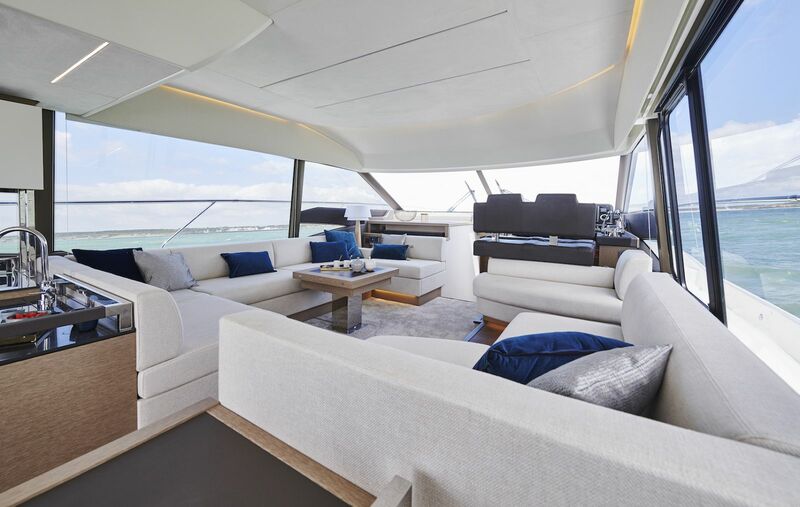 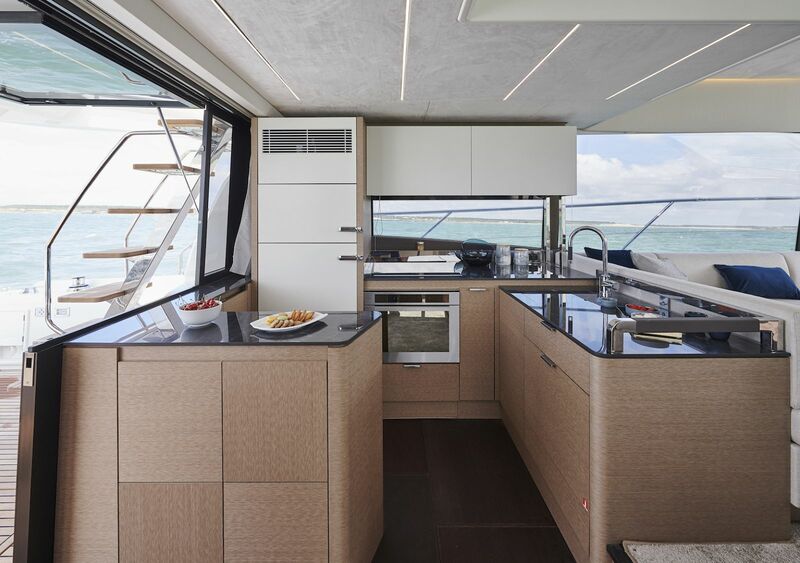 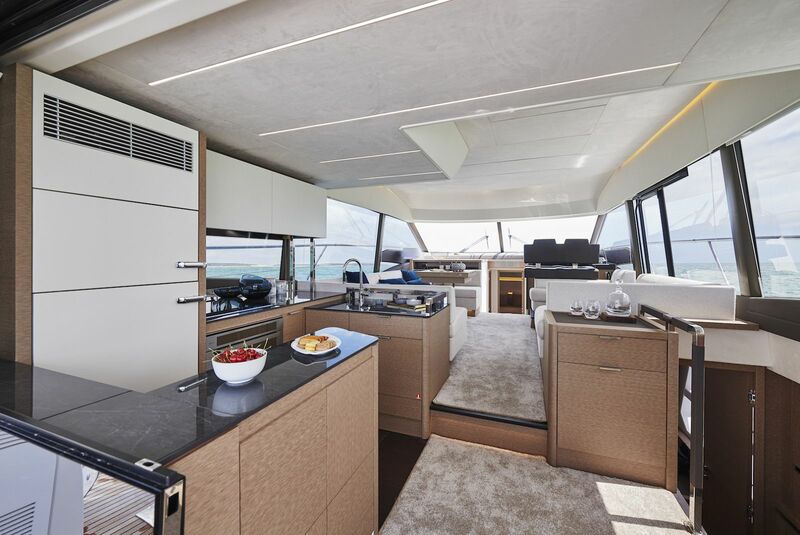 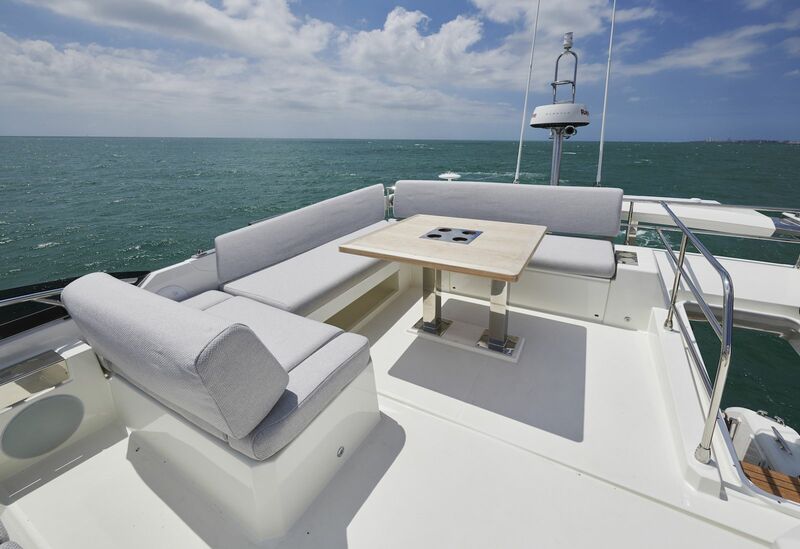 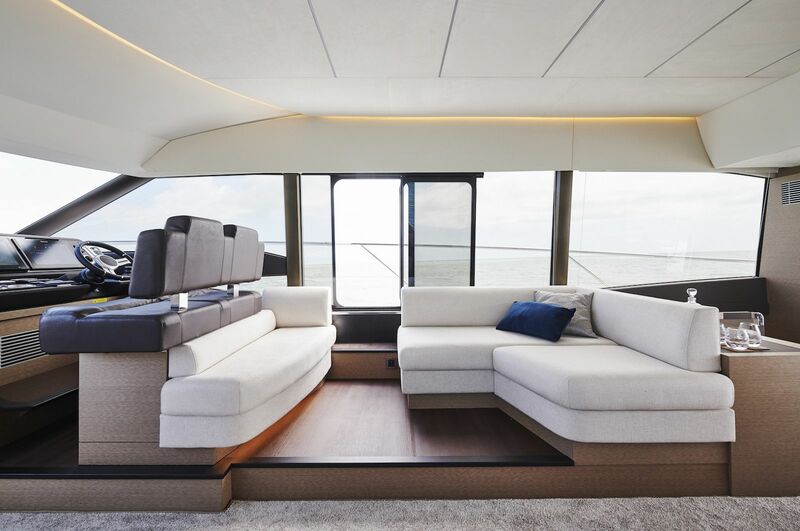 The team at Prestige Yachts takes you inside the new 590 Flybridge.